Check our our Stunning Full House of High quality Bow & Rehau Windows, with Two Beautiful Black Composite Doors, One Dovenby, Murano Glass Design with Matching Side-panel for the Front Door, and one Black Falconier Door with Zinc Prairie Glass Design, all with Chrome Fixtures and Fittings. Also with a Set of Open out High Quality UPVC French Doors, with Chrome Fixtures. Changing your Windows and Doors can really transform your Property, we offer a huge range of Designs, styles and Colours, whether it's a modern, chic, contemporary design, to a traditional Vintage, Period design, you can find the perfect design for you and your home at Marton Windows. 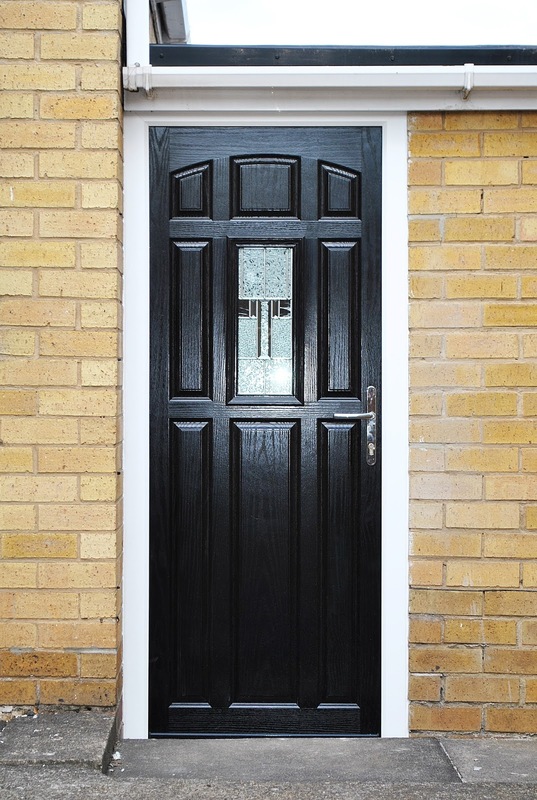 The Zinc Prairie Glass design is a modern unique Glass design, that looks fantastic on contemporary homes, to give your home that modern edge. Beautiful black Falconier Composite Door with Zinc Prairie Glass design and Chrome Fixtures with Black Weatherbar to blend into the door. 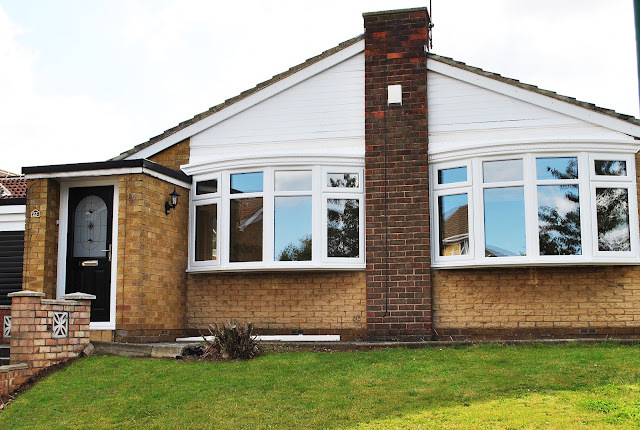 Beautiful Full Renovation of Windows & Doors, here you can see the Front of the property with wonderful High quality Rehau UPVC Profile Bow windows, with Top and Side Openers in each side & Bow Canopy to finish off the look. 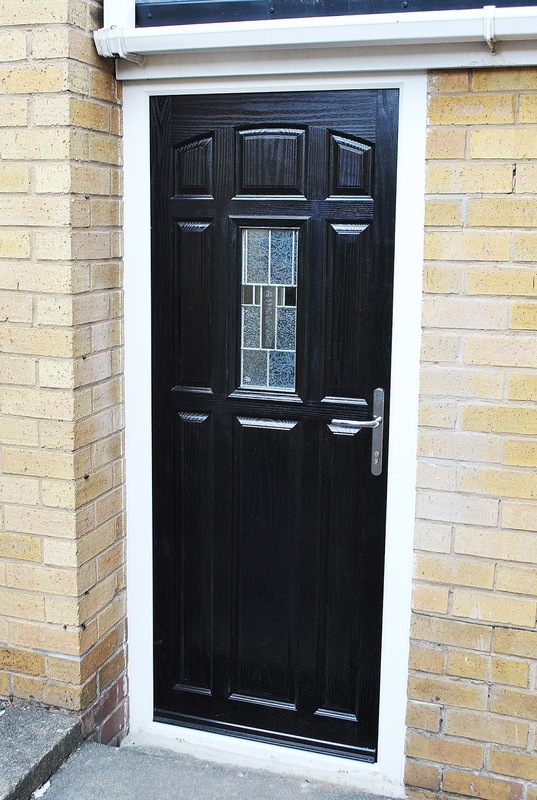 The front Door is a fantastic Dovenby Black Composite with Murano Glass Design. 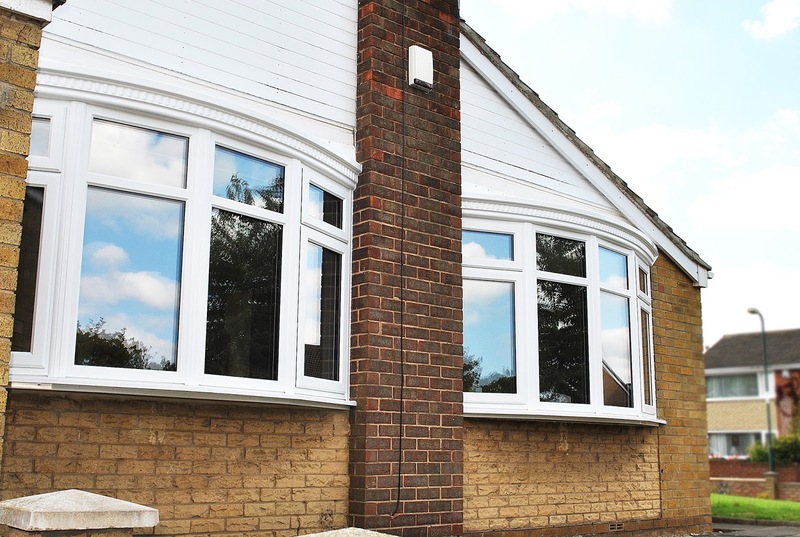 Close up of our Two beautiful Bow windows, in high quality White Rehau UPVC Profile, with Top and Bottom openings in each side and beautiful Bow Canopy. 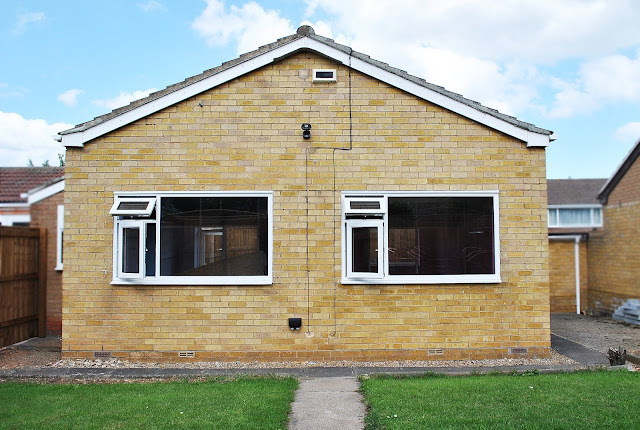 The back of the house, with two large windows with top and side openings, in high quality Rehau UPVC Profile. 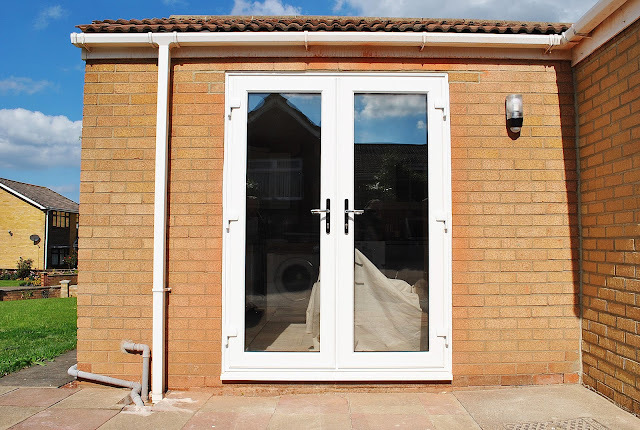 We love our French Doors, and we love how these open out into a wonderful courtyard, finished off with Chrome fixtures and fittings!